PLS Blog: Book 3 = Purple! Josie asks: Jemma, when's book three coming out?!?!?!?!?!?!?!?!?!?!?!?!? The answer is May 5. It's called FOREVER CRUSH. It will be purple and filled with crushy-love and intrigue. If you've read books 1 and 2, you can probably guess who the forever crush is and who has a forever crush on whom. Thanks for asking, Josie. Stay tuned for more details as we get closer to the May 5 release date. Ah! May 5th is a WHOLE TWO MONTHS FROM NOW!!!! How will I survive the wait???? hehehehehehehehe giggle giggle laugh HA! 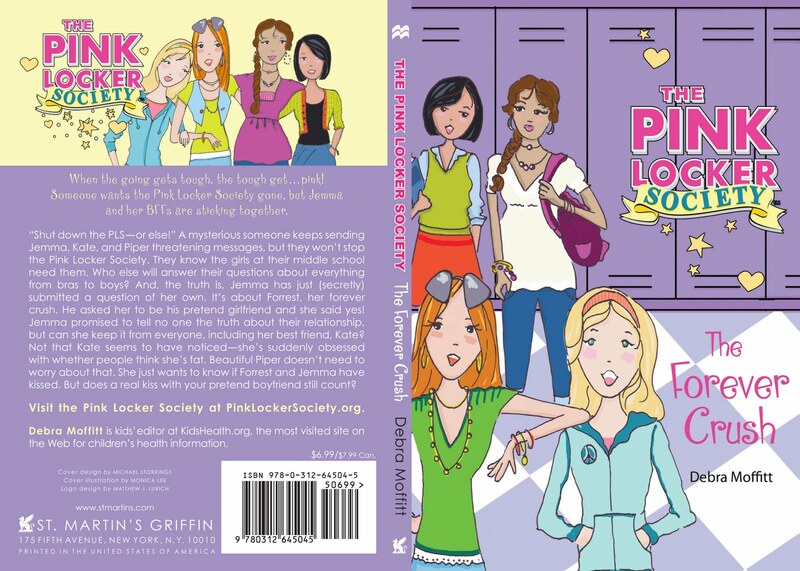 I just found out about the pink locker society and I am super excited to read all of your books. If anyone would like to tell me what they think of the books, please comment back. Book 2, called BEST KEPT SECRET, came out in February. Hopefully, your library has a copy! Book 3, THE FOREVER CRUSH, will be out on May 5. I AM SOOO EXCITED!!!!!!!!!! EEEEEEEKKKK!!!! YAY YAY YAY!!! I love the 1st and 2nd book and I can't wait till the next book!!!!! My favorite color is purple!!! @Anonymous, the new book comes out May 5, 2011. It won't be long now! Why is it purple if it's called The PINK Locker Society? and it I do say so myself you gus would make a cut couple. hi guyz have any of you had ur period? i have, wana know anything??? ok im in the middle of PLS=best kept secret. i can see i have some catching up to do!! And i was wondering wich one that was??? Any answers?